In the north part of Kansas City, an old church facility has undergone some major upgrades. 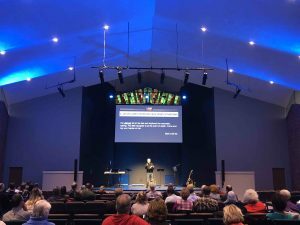 In 2017, Briarcliff Church moved into a facility with technology from the 1980s. 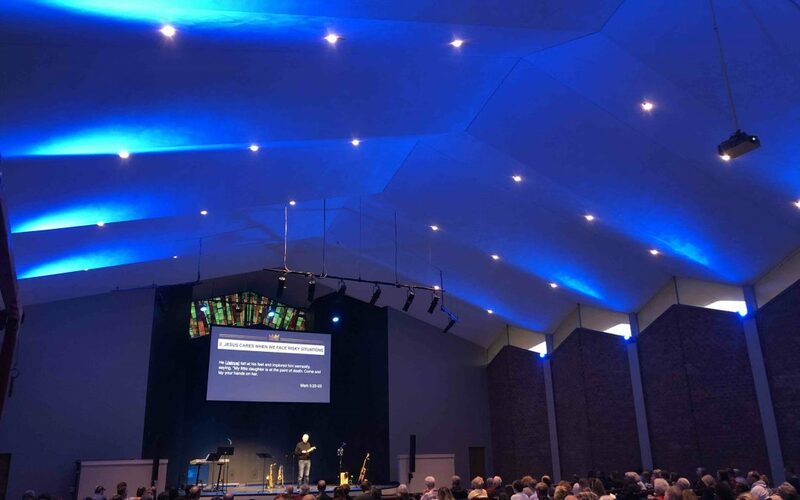 SRS was blessed to partner with Briarcliff Church for major upgrades in the areas of audio, video, and lighting. 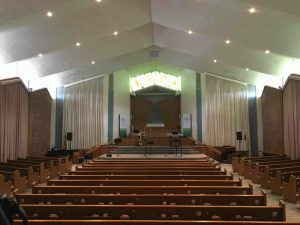 The church chose L-Acoustics SYVA for their LR mains, in a stereo configuration. The previous PA was a center cluster only, mounted high above the chancel area. The new system helps localize audio closer to the stage for a much wider and more immersive music experience. 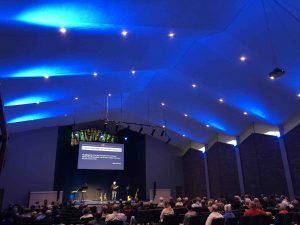 The church desired laser projection technology for their new Da-lite center screen, and Panasonic RZ970 projector was implemented for stunning HD graphics, with switching infrastructure from Blackmagic Design. The visuals in the space were dynamically impacted by LED fixtures from Chauvet Professional and control from ChromaQ Vista 3. Ten RGBAW LED Par/Wash fixtures were implemented as supplemental house lighting to wash the ceiling in the Sanctuary with immersive color.